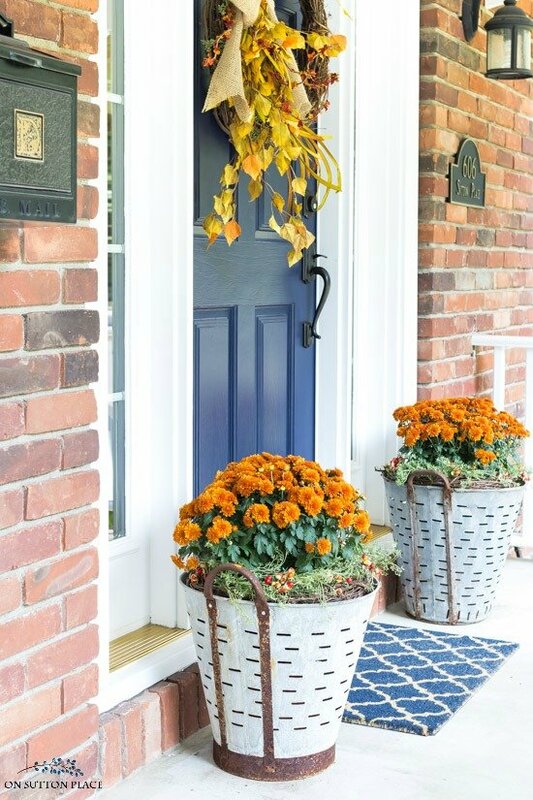 In this post: Easy front porch ideas for fall: inspiration for budget-friendly fall planters with mums and other autumn decor, including pumpkins, gourds and more. 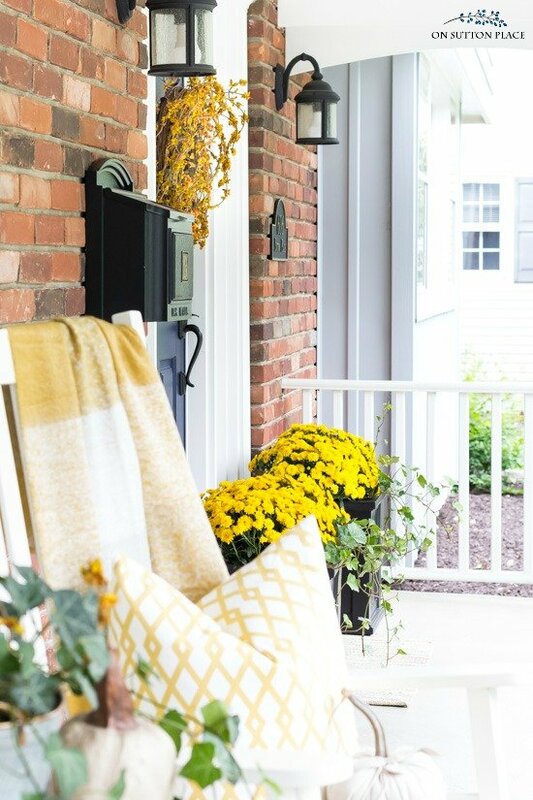 With the arrival of each new season, my all-time favorite thing to do is refresh our front porch. Even at Christmas, decorating the porch trumps everything…the tree, the garland, even the presents. 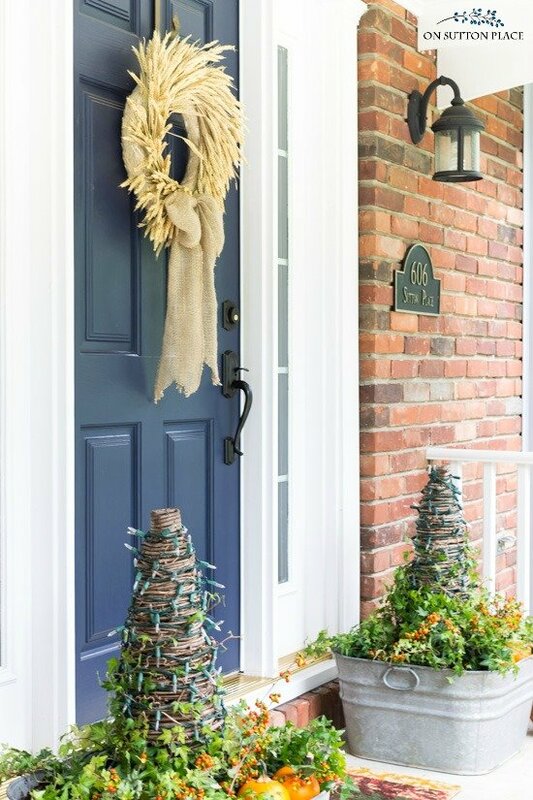 Coming up with new front porch ideas at least four times a year is a challenge I love…but sometimes it’s more of a challenge than I care to admit! Our front porch doesn’t have a whole lot going for it. It’s a simple, basic concrete porch (with a big crack) and I added a bit of charm several years ago with a white railing. The rest of the charm comes from the decor and flowers I add with the seasons. 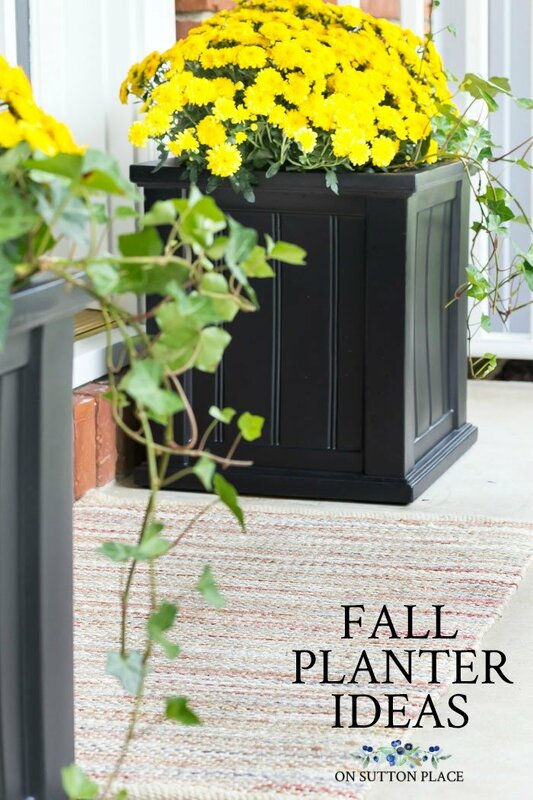 Planters are a big part of that charm, and fall planters are no exception. Here are my favorite fall planters with mums and pumpkins from the past few years. Just click the link below each picture to see more. I’ve got almost everything figured out for this year’s fall decor and as always, I’ll start on the porch. Like I said earlier, some years seem to be more of a challenge than others when it comes to brainstorming new front porch ideas. I’m happy to say that this year the ideas came very easily…and I’m excited to show you all what I’ve come up with. It’s all budget-friendly as always…and even if you get just one new idea, I’ll be happy! Now…I am part of a wonderful community of bloggers who support me and listen to me almost on a daily basis. Since I work alone, sometimes they are literally my lifeline to the world. 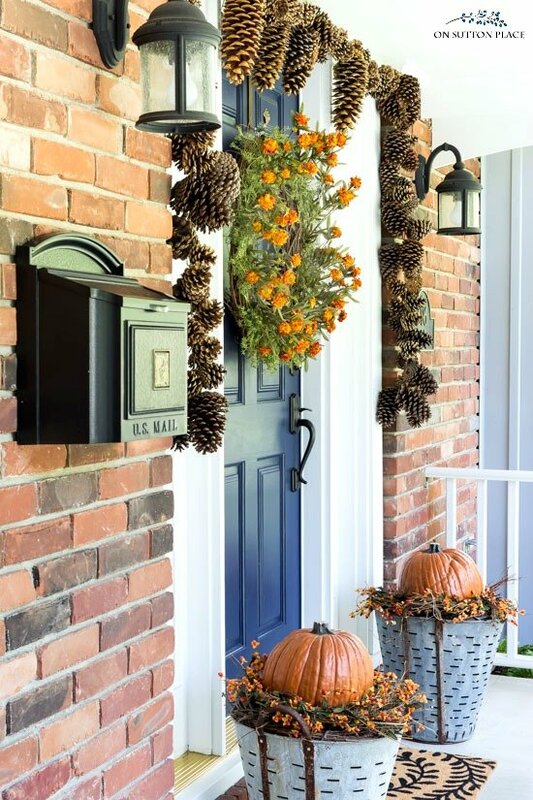 They gladly volunteered their own fall front porch ideas and I’m sharing it below. Take a look! So wonderful ideas, thank you for sharing. What is the name of the yellow flowers? They look adorable. While all your ideas are lovely I guess I am just not ready for summer to end. Your porch looks beautiful in every picture,I especially love your mailbox. I just can’t bring myself to think about fall yet. However I was shopping yesterday and yes it’s coming. 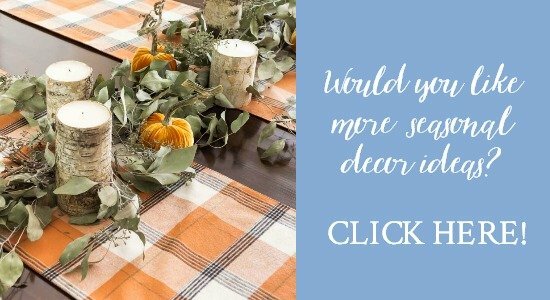 Lots of fall and Christmas at hobby lobby. Oh my!! Great ideas. And beautiful colors.